After having read the Unforgettable What’s His Name, the enigma that is this book, didn’t surprise me. 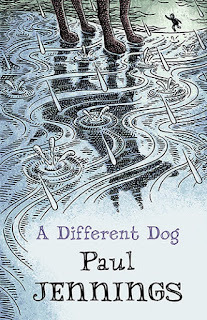 Paul Jennings is an explorer of styles. He surprises and draws the reader in through the unexpected. 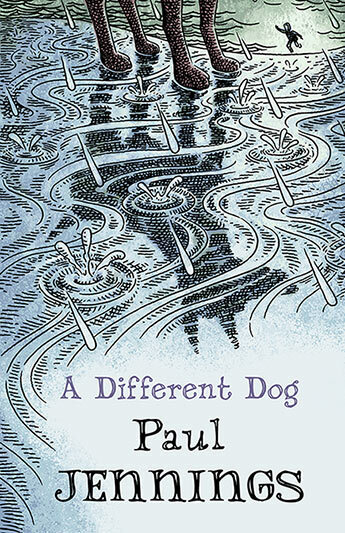 The story is about a dog that can’t move and a boy that has lost his ability to speak. The strangeness of their coming together drops away from the central theme. This is a story of need, and whether dog or human, the importance of finding your own voice and redemption in a world of chaos and cruelty. This is a strange tale. There appears to be no flow, just a hodgepodge of pieces that build toward an ending where all is revealed. Themes of poverty, bullying, courage, resilience, and the relationship between animals and humans bind this moving story together like a spicy dough mixture. Paul Jennings has created an interesting and absorbing short novel that will make you long for the end so you can discover the who, why and how of it all. Once again, his work won’t disappoint.